Whew what a fast few days its been since leaving Baltimore on Wednesday afternoon. I arrived late Wednesday night in Santa Fe. Thursday morning was spent getting a rental car, some breakfast and some supplies for the road. 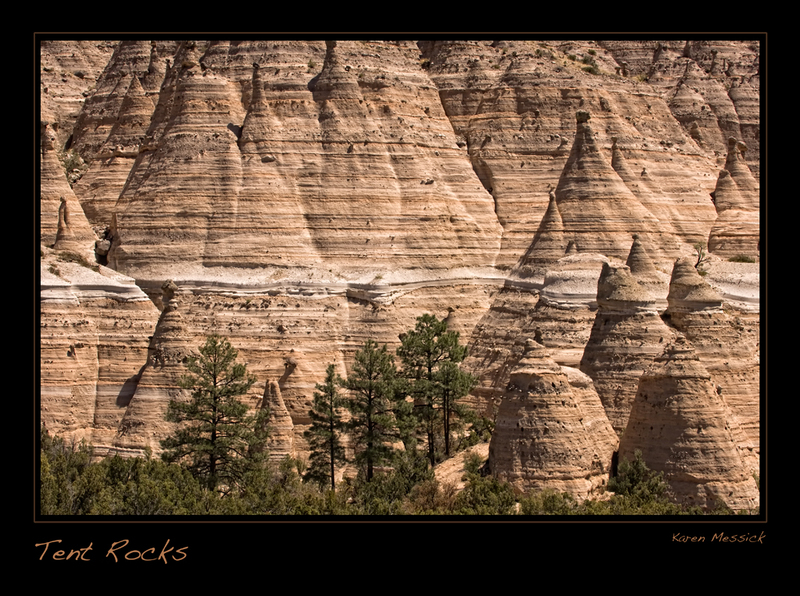 Then I headed to Cowles in the Santa Fe National Forest, passing through Pecos. It was a beautiful drive and I stopped at Monastery Lake to take a break from driving and hiked around the lake's circumference. I was only carrying my iPhone and I will post some pics I made with that on the iPhone blog. I drove to the end of the forest road at the top of the mountain and turned around. I am adjusting to the altitude and getting my New Mexico eyes. The days have been brilliant with clear blue sky. I also had to get some sunblock 55 for my face! 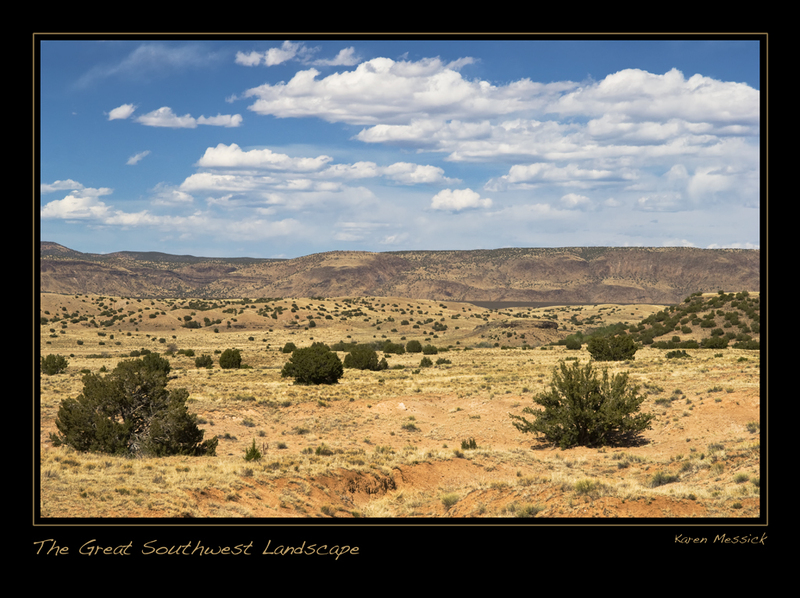 I stopped in Pecos on the way home, and made a shot or two again with my iPhone. I plan on going back there with the big girl camera too, so I hope to have some shots form there. 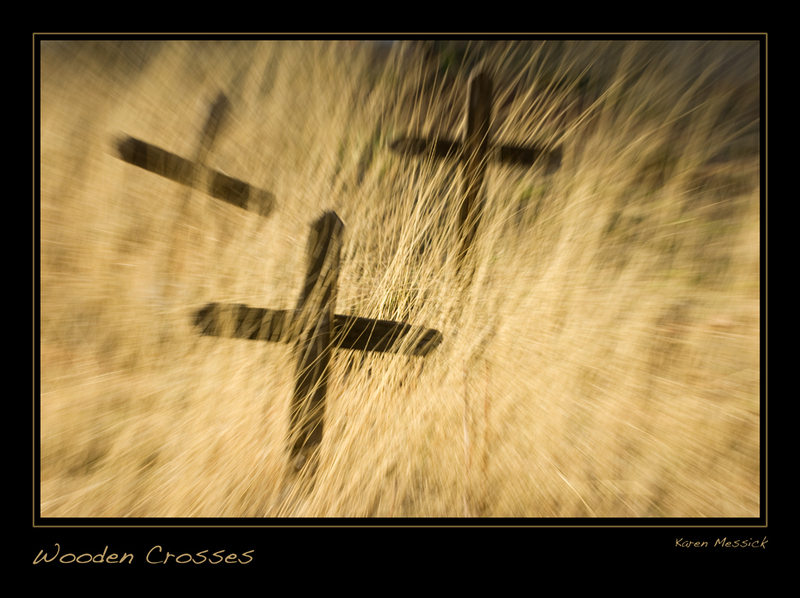 It was a long day and after making a stop at a church where I made the wooden crosses shot, I got back to Santa Fe around 7:30, headed to dinner and crashed. This morning I was up at 7:00 got out of the room by 8:00 had a nice breakfast at a local cafe and took a long walk around Santa Fe town with the iPhone. Then I headed to Kasha-Katuwe Tent Rocks National Monument, on Pueblo De Cochiti. 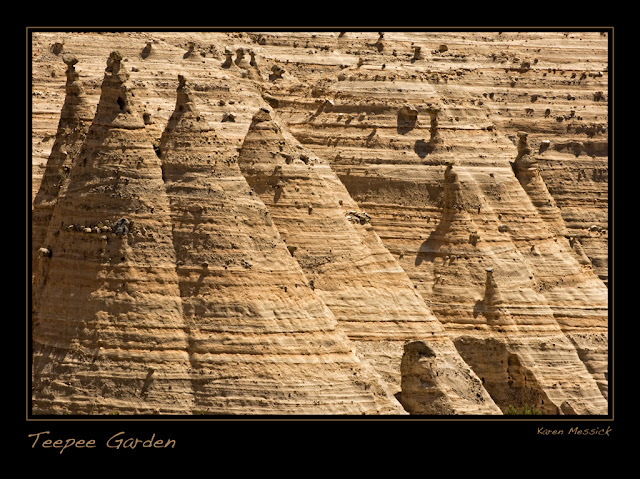 Made some shots with the big camera, did some hiking and gazing at these amazing formations and canyons. Did some road less traveled and headed back. So I am once again pretty tired from the day. Had a nice Dinner at The Coyote Cafe and came back to the hotel to process some shots and rest. Wow what great photos. I love the last one the blurry grass gives is an amazing look. Lots of texture in your photos!